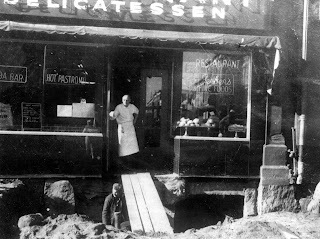 In July 1949, well before Boston, Salem embarked on its own “Big Dig” project. To better manage the city’s increased downtown traffic and unite the divided shopping district, city officials proposed the reorganization of Salem’s railroad system, including the replacement of the 1839 railroad tunnel. 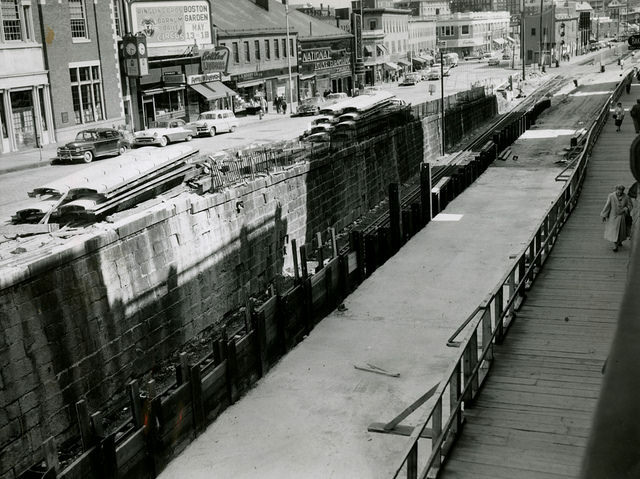 A new tunnel was recommended; it would move the tracks underground from Bridge Street through Washington Street and to the foot of Canal Street. The $5,500,000 project was overseen by contractor Tony Farina of Farina Brothers, Inc. and was divided into three stages. The plan was met with both optimism and apprehension by locals and business owners. Many merchants worried that instead of bettering Salem’s downtown, the construction would ultimately drive shoppers away. The project was often met with delays, partly due to the fact that regular railroad traffic could not be halted during the construction process. Portions of the new tunnel were built while the old tunnel was still in service only feet away. After nearly a decade, on Friday July 31, 1958, a crowd of 10,000 gathered to watch the end of one era and beginning of another. The last train through the old tunnel departed, as scheduled, for Boston at 8:12pm. It was followed by a brief ceremony with local officials and a ribbon cutting for the new tunnel by Boston & Maine Railroad President Patrick B. McGinnis. At 9:15 pm, a special train from Beverly with over 600 people on board made the first passage through the new tunnel as crowds cheered from above. Joseph John Czubek (sometimes referred to as John Czubek) was born on August 8, 1874 in Toledo, Ohio, one of five children belonging to James and Mary (Nowak) Czubek. His parents immigrated to America from the Province of Posen, an area of Prussia that became part of the German Empire in 1871. At the age of 24, Joseph was ordained at a Polish Seminary in Detroit, Michigan. 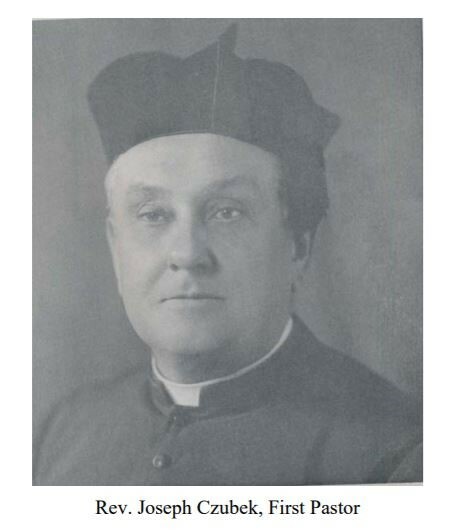 In 1901, Reverend Czubek was beckoned to Salem by Father Chmielewski of Boston, to conduct mass in Polish. These services were given in the basement of an Irish parish, the Church of Immaculate Conception on Hawthorne Boulevard (then Walnut Street.) Czubek was quickly welcomed by Salem’s parishioners due to his support of the need to erect a Polish Catholic church in the city. Reverend Czubek created and tasked a committee with raising over $2,000 needed to purchase and convert a dwelling into a new parish. Following the building’s completion, Czubek was appointed the pastor of St. John the Baptist Polish Roman Catholic Church, which held its first mass at 18-20 Herbert Street on July 3, 1903. Reverend Czubek continued expanding the church, purchasing additional buildings on Herbert Street and the surrounding area to house a school, rectory, and a convent. After only three short years, the church building on Herbert Street had already become inadequate for the growing number of parishioners. Czubek purchased a vacant, former Baptist Church on St. Peter Street and picked a committee to oversee the building’s restoration. The new church was completed in 1909 and the former Herbert Street church was converted into additional classrooms for the Polish parochial school, which had previously occupied the basement. 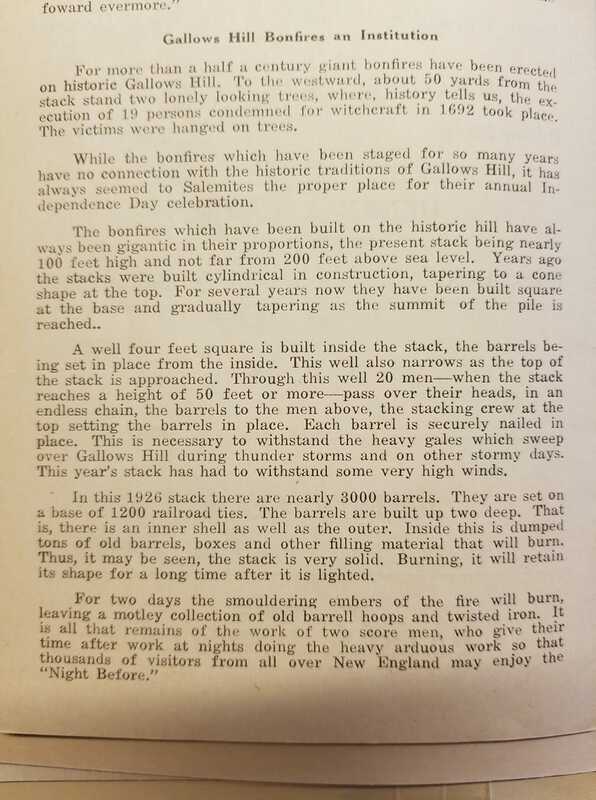 Reverend Czubek’s legacy was cemented on June 25, 1914 when the Great Salem Fire destroyed 1,600 buildings over 250 acres. 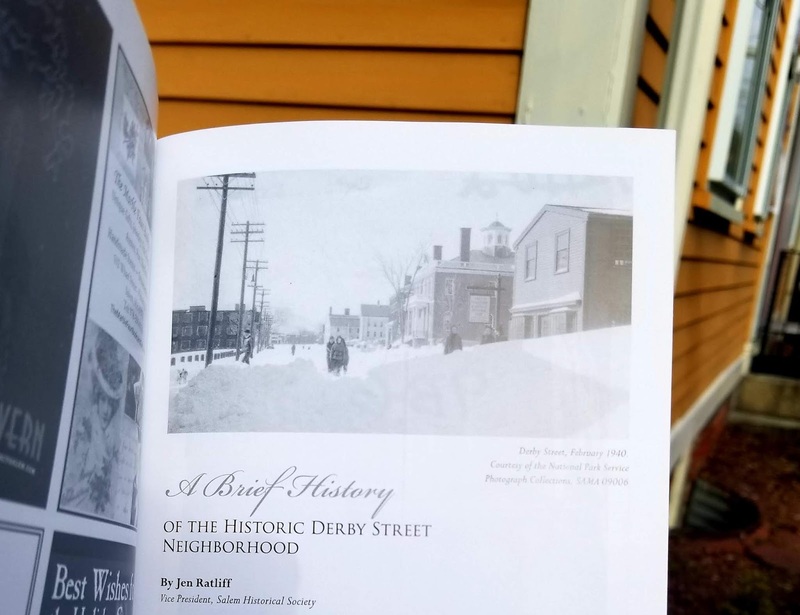 More than 14,000 Salemites were displaced from their homes including many from the Derby Street area. After hours of devastation to the city, the fire stopped at the foot of Herbert Street and Central Wharf. Many Poles have credited this to Reverend Czubek. Local lore states that Czubek stood in the middle of Derby Street with holy water and a crucifix, praying for the fire’s end. The food wasn’t the only reason people visited Gerber’s - Louis’ German Shepard Ferdinand often waited outside for his owner to get out of work and was well-known around Salem, regularly making the newspaper for his adventures. For years, “Ferdie” had city dog license #1, which was advertised to encourage other dog owners to also get their dogs licensed. 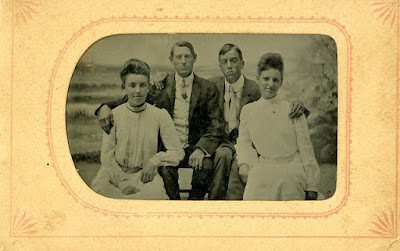 When Ferdinand got older and was confined to the house, he regularly received cards and gifts from locals who missed seeing him around the city. Ferdinand lived to the age of fourteen. During the 1950s, while a new railroad tunnel was being constructed under Washington Street, Gerber’s was only accessible by walking on a wooden plank over a large hole in the ground. But even this could not slow business for the Gerber Brothers. In 1959, with the new tunnel complete, Gerber’s was renovated inside and out and had a grand re-opening that July. 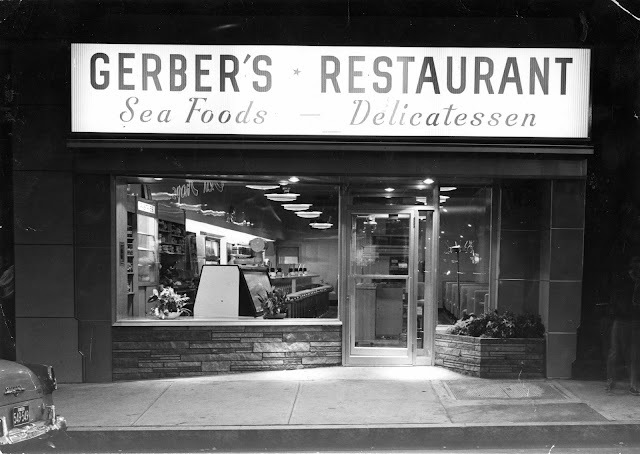 After thirty-years, Louis and Joseph Gerber retired in July 1970 and sold Gerber’s Restaurant to Marvin Berman. The following January, the building that housed Gerber’s erupted in flames. The fire was especially difficult to control due to the below zero temperatures that quickly froze the water sprayed on it. Louis Gerber was heartbroken by the loss of Gerber’s but remained active in the community, overseeing food preparations for local festivals and events. He died unexpectedly in December 1986; he was 81. Electric streetcar turns on to Essex Street from Washington Square East. 1930s. 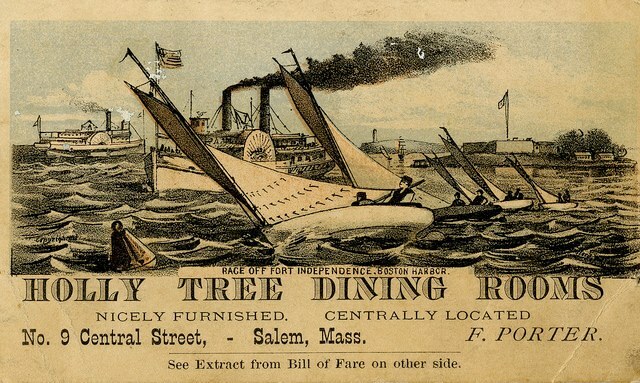 Salem Street Railroad Company, the city’s first street railway, was incorporated in 1862. This horse car railway system or “horse railroad” continued to grow over the next decade. In 1863 the line connected to the surrounding towns of Peabody and Beverly. 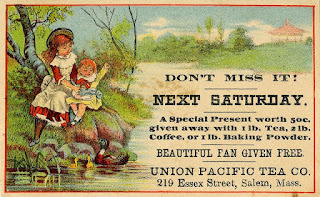 South Salem received its own branch in May 1864 and North Salem followed in June 1869. In 1875, the system was reorganized as Naumkeag Street Railway Company, which made Salem Willows its first addition. This boosted tourism to the already popular waterfront park resulted in added attractions and restaurants in the coming years. During the summer, horse cars could transport as many as ten thousand visitors to and from Salem Willows. In the 1880s, the railway continued to add lines, including those to Gloucester, Harmony Grove in Salem, Marblehead, North Beverly, Wenham, and Asbury Grove in Hamilton. The fare cost between 5 and 30 cents, depending on destination. A trip from Salem to Wenham took about an hour to complete. In these early days, horse car service was more individualized, allowing for passengers to wave down cars. Conductors often ran errands for residents, delivering groceries or transporting medicine to the sick. By 1887, the Naumkeag Street Railway Company had 105 cars, 390 horses, and 30 miles of track. In the 1890s, Naumkeag Street Railway Company was acquired by Lynn & Boston Railroad Company, better connecting Salem to Boston through the Lynn line. At this time, electric street cars began to gradually replace the previous horse car system. This change required heavier tracks to be laid and electric cables to be hung over them. As cities were electrified, horses and horse cars were transferred to outlying areas that still used the old system, until they too were modified. 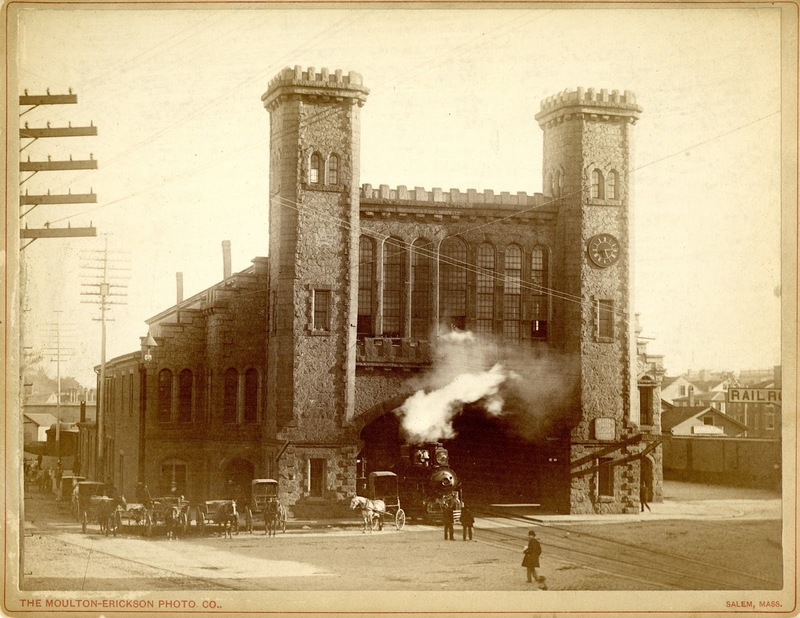 In 1901 the Lynn & Boston Railroad Company reorganized as Boston & Northern Street Railway. 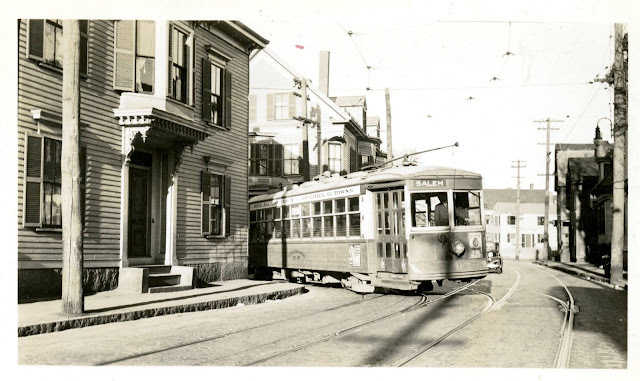 Electric streetcar service in Salem continued to be consolidated and reorganized, in 1911 becoming Bay State Street Railway Company, and lastly, Eastern Massachusetts Street Railway in 1919. Buses began to replace streetcar lines in Massachusetts as early as the 1920s, reaching Salem in 1931. Salem’s conversion to an all bus system was complete by 1937, with the last streetcar traveling to Beverly on March 1st of that year. 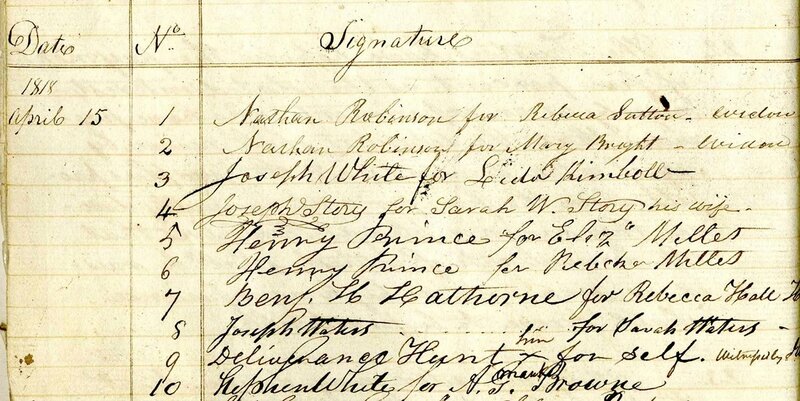 Signature ledger, 1818. Note #3, Joseph White opened an account for Lydia Kimball, his housekeeper. The Salem Savings Bank began in January 1818 as a petition to the General Court of Massachusetts. 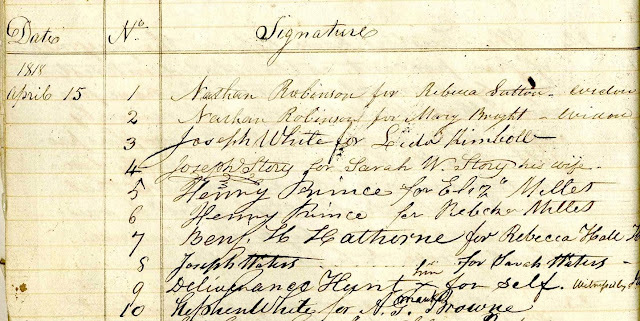 The petition stated, “the object of the Society is to receive deposits of money from such persons as may be disposed to make them, and to use and improve the same for their benefit.” The petition was signed by over sixty men from Salem, many bearing such recognizable names as Joseph White, John Derby, Nathaniel Bowditch, and Stephen Phillips. The Act of Incorporation was granted as “The Institution for Savings in Town of Salem and its Vicinity,” creating the county’s second incorporated savings bank; Provident Institution for Savings in Boston had been founded less than two years prior. The first meeting was held on March 12, 1818. 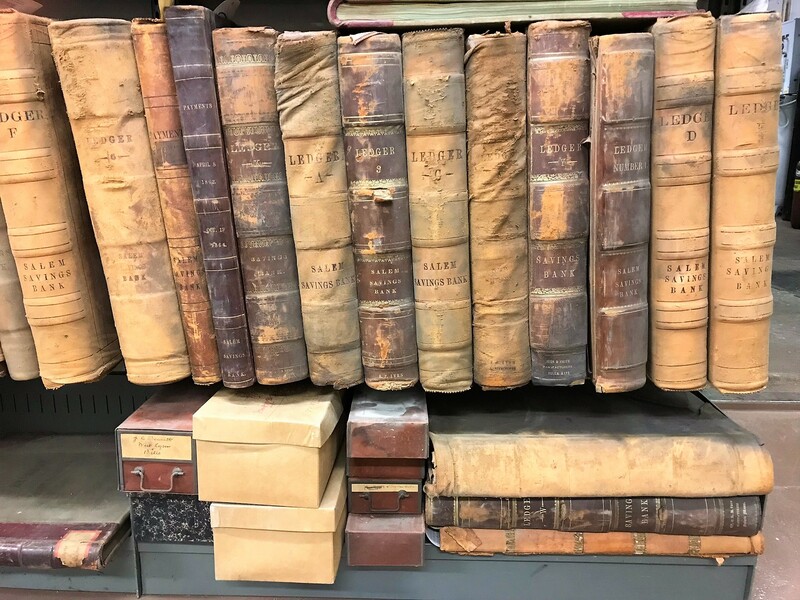 It was at this meeting that Edward Augustus Holyoke, a local physician, was voted president, with Joseph White, Benjamin Pickman, Jr., Joseph Story, Jacob Ashton, and Moses Townsend serving as vice presidents. There were nearly ninety incorporators including, Reverend William Bentley, Jerathmiel Peirce, and Benjamin W. Crowninshield. The bank opened on April 15, 1818 at 4 Central Street, then known as Market Street. It was open each Wednesday for one hour beginning at noon. Within six months the bank had received over $26,000 in deposits. The secretary made note that most of their 184 depositors had been women, writing, “…Sailors not being disposed to deposit their earnings, which if husbanded at all, can be turned to greater advantage, when taken with themselves as adventures on their voyages.” By 1822 the bank reported having received over one thousand deposits, stating, “…It must be a subject of great satisfaction to all whose benevolence had led them to take an interest in the success, that the Institution, which has now been in operation four or five years, has fully answered the most sanguine expectations of the projectors.” In April 1830, Salem was stunned by the gruesome murder of Salem Savings Bank trustee and founding member Captain Joseph White, who was found bludgeoned in his home at nearby 128 Essex Street. The trial carried on throughout the summer of that year with White’s nephew Stephen, another founding member, receiving the bulk of the Captain’s estate. The murder would make its mark on literary history, influencing the work of Edgar Allen Poe and Salem native Nathaniel Hawthorne. On February 25, 1843, with Joseph Peabody as president, the Institution for Savings changed its name to Salem Savings Bank. The following year it relocated to Pickman Place on Essex Street, near present day Downing Block. It remained there until 1855, when it moved to its final location, the then newly built Asiatic Building. The Asiatic Building, located at 125 Washington Street, was designed by William H. Emmerton and Joseph C. Foster and was built partially on land originally belonging to the First Church and the Higginson Family. When the Asiatic Building was completed in 1855, its address was 28 Washington Street. 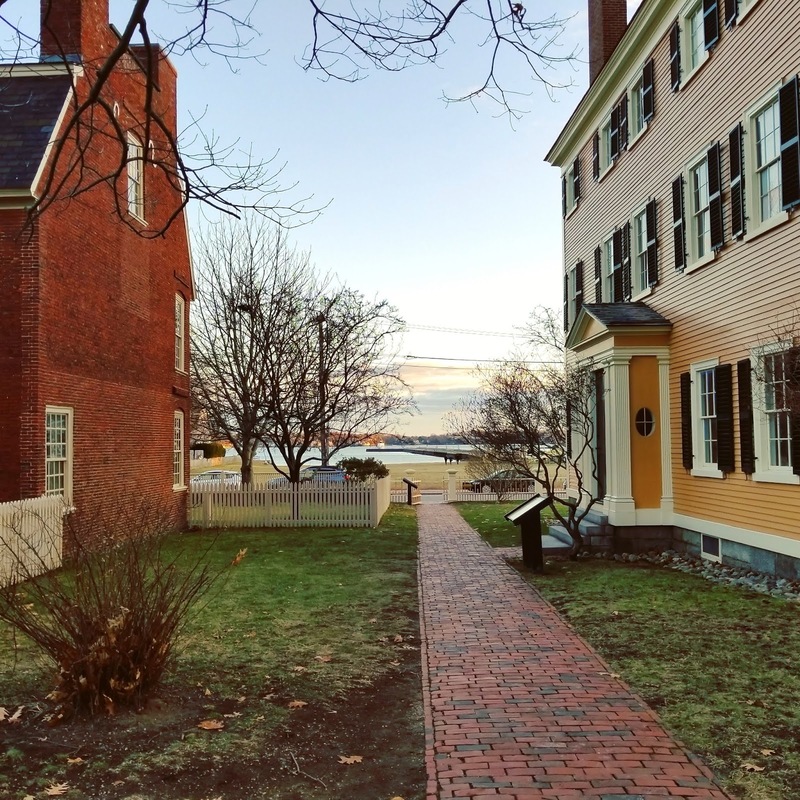 The building replaced an earlier structure that was listed in the 1853 Salem Directory as being the home of Joseph Gardner, Jr. a carpenter. The Asiatic Building housed multiple banks and financial institutions, earning the nickname “The Bank Block.” Residents included: Naumkeag National Bank, Merchants Bank, Salem Marine Insurance Company, and the Salem Savings Bank. The Odd Fellows Hall was also located on the top floor and their name adorned the facade of the building until the early part of the 20th century. During the second half of the nineteenth century, the Salem Savings Bank survived multiple setbacks that bankrupted other institutions including the Panic of 1857, which depleted the bank’s deposits from $1,808,00 to just $30,000. It was hit again just a few years later with the outbreak of the Civil War. Many account holders withdrew their savings in favor of United States bonds, which were tax exempt and promoted as a sign of patriotism. This continued throughout the war as the government appealed to citizens for more support. 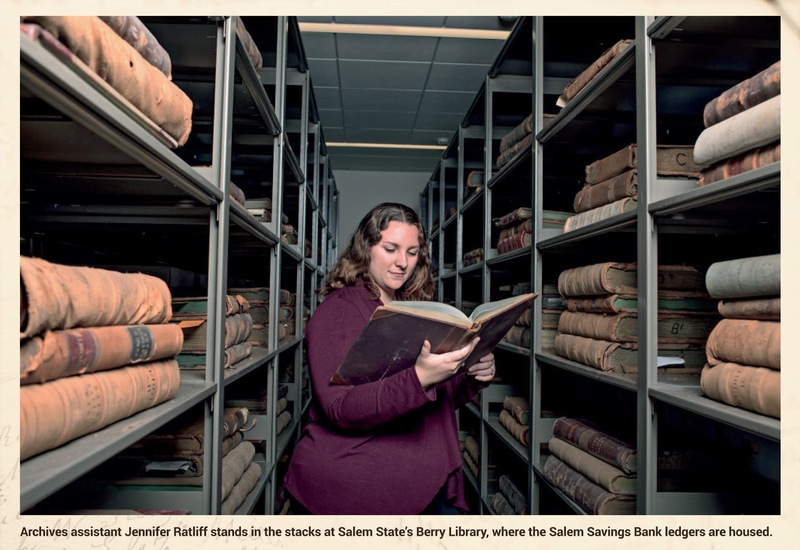 The Salem Savings Bank suffered large withdrawals again at the close of the war, losing $25,000 on the first day and more than $100,000 by the end of the week. The bank was confident in its investments and by the following year reported a full recovery. Additional panics occurred in 1873 and 1893 but had no lasting impact on the bank’s operations. Scandal erupted in December 1893 when then President Edward D. Ropes and Treasurer Charles N. Simonds confronted a well-respected teller named Clarence Murphy about missing funds. During their interrogation, Murphy excused himself to gather more paperwork. He then quickly made his way to a bank drawer, stuffing $500 into his pocket before grabbing his overcoat. Ropes and Simonds, who had been waiting for Murphy’s return, looked out an office window and noticed him running down Higginson Alley toward Washington Street. Murphy would ultimately be charged with the embezzlement of $60,000 and would lead police on a two year search. 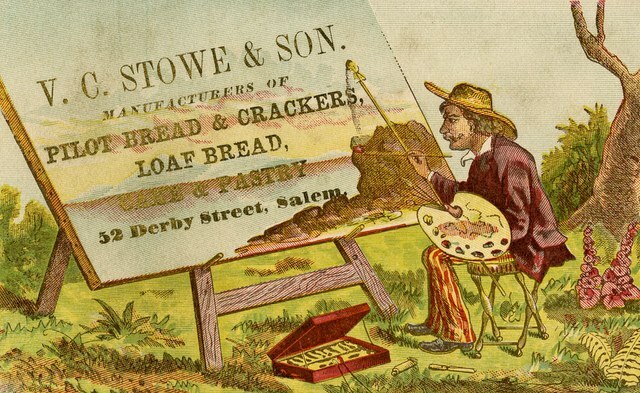 The story garnered national attention and was covered in newspapers throughout the country. Murphy was arrested in February 1896 in San Francisco. The first half of the 20th century ushered in a new look for the Asiatic Building, now fully inhabited by the Salem Savings Bank. In 1911 the “Odd-Fellows Hall” sign, which was installed in 1893, was removed from the building’s top façade. At that time, Architect Arthur E. French was brought in to give the building a Colonial Revival update. In May 1942, the Boston Herald reported the completion of another remodel of the Salem Savings Bank building that included the removal of the building’s top floor and cupola. Several hundred visitors came out to celebrate the renovations and to view a newly installed painting by local artist Phillip Little in the bank’s lobby. The painting depicted Derby Wharf as it was thought to have appeared during the height of Salem’s Golden Age of Sail. The Salem Savings Bank continued its operation until 1981 when it merged with First East Bank of Lynn, reorganizing as Eastern Bank in 1989. Salem State University on April 25, 2018. 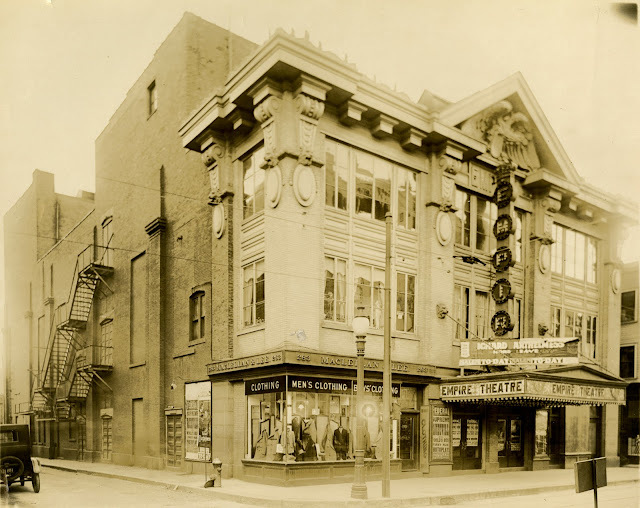 On August 29, 1907, theater giant Julius Cahn unveiled his nearly 1,500 seat theater at 285 Essex Street. The Empire Theatre was built on the previous site of Mechanic Hall, which had been lost to a fire only two years prior. For the construction of Salem’s Empire Theatre, Cahn employed his usual team, which included architect, Charles E. Horn and contractor, E.C. Horn. By 1908, Julius Cahn had nearly 300 affiliated theaters spanning the Northeast to Ohio. The Empire Theatre building was removed in 1955 and the site is now a public parking lot, adjacent to Essex House, a condominium complex. For the first half of the 20th century however, Gallows Hill was possibly better known for its Independence Day bonfires. 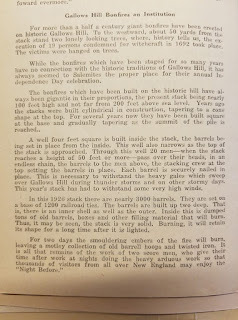 The night of July 3rd, many would gather to see the midnight lighting of the up to 90 foot tall pyramid of old barrels, collected from local tanneries. 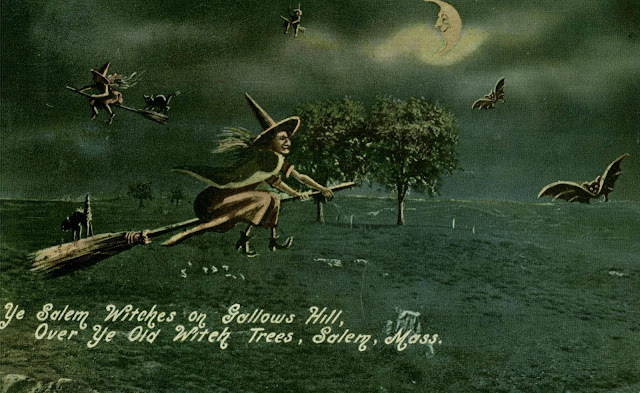 In 1921, historian Sidney Perley suggested that Proctor’s Ledge, a lower ridge of Gallows Hill, was the more likely location of 1692 executions. Nevertheless this finding did not halt interest in Gallows Hill. The area still continues to attract visitors, tour groups, and discussion in international publications and films.